NATO NEEDS TO TACKLE ALBANIAN EXTREMISM IN MACEDONIA – Alternate Comms. Comment: NATO membership will not bring longterm stability to Macedonia. Those who naively believe that by joining NATO all of Macedonia’s problems will be solved are deluding themselves. One of the threats facing Macedonia’s future – and there are many, the harsh Prespa Agreement and Bulgar deal -is rising Albanian neo-Nazism within Macedonia. 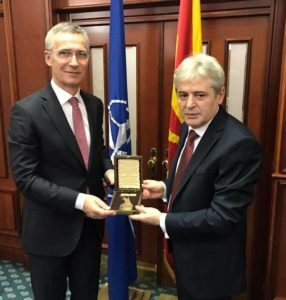 The alarming thing is NATO has had to draw for support from Albanian nationalist politician Ali Ahmeti- which it and the EU once described as a thug, terrorist when he launched a war in Macedonia in 2001. 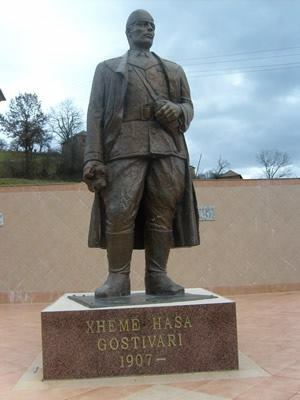 Post-2001, he and his supporters have embarked – embolden no doubt by the West’s need for him as a political client- on building WW2 Albanian Nazi collaborator statues -one to notorious collaborator Xhem Hasa Gostivari -and invoking neo-nazi ideology. That doesn’t augur well for Macedonia’s future as a state – regardless of what name it has forced upon it. A CYNICAL MEANS TO AN END? 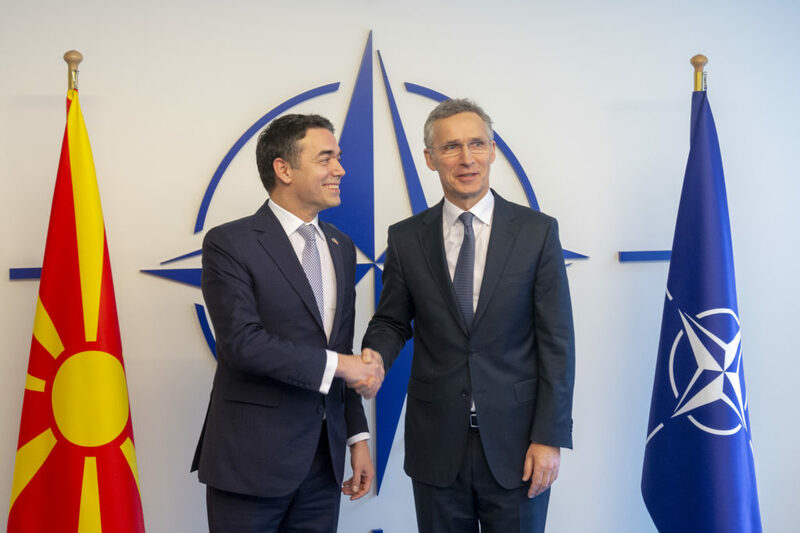 NATO Secretary General Jens Stoltenberg, when asked last year at a media conference in Skopje, Macedonia, over concerns about Albanian extremism, arrogantly walked past the media throng and deliberately ignored the question. Does this raise the most obvious question is NATO really concerned for Macedonia’s long term stability or just after a short term fix? Is this a cynical move to simply keep “Russia out” and never mind the long term consequences in drawing support from Albanian extremists in the process? Likewise, NATO and the US appeasing Greek and Bulgarian nationalist demands upon Macedonia and forcing it to surrender its identity, history to secure NATO membership. If NATO is serious about Macedonia’s future it needs to tackle Albanian extremism in Macedonia not embolden it. In striking contrast, Nazi statues are banned in Germany, which is both a NATO and EU member and paradoxically a supporter too of Albanian nationalist politicians in Macedonia. NATO Secretary General Jens Stoltenberg with Albanian nationalist politician Ali Ahmeti.